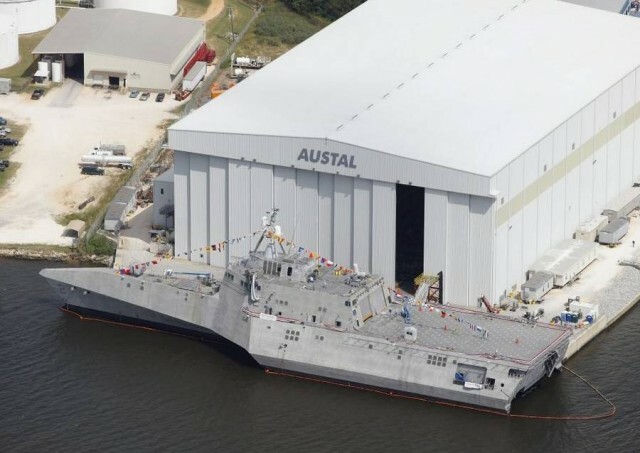 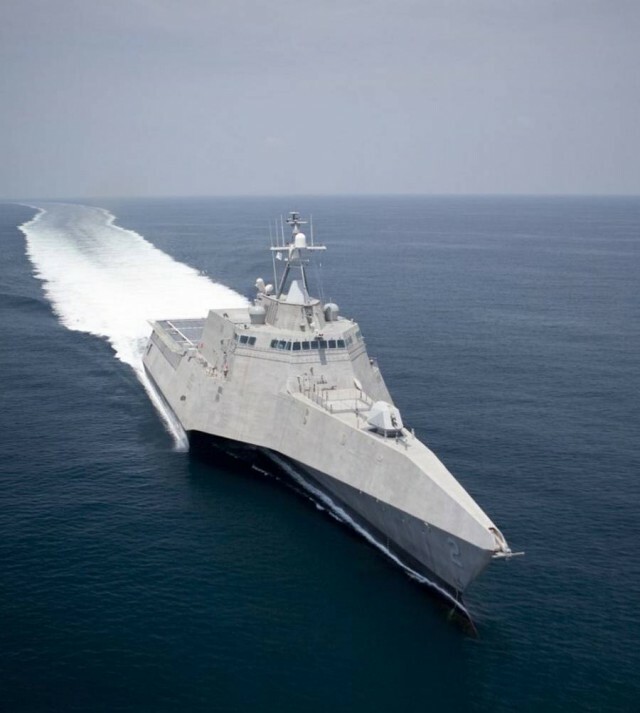 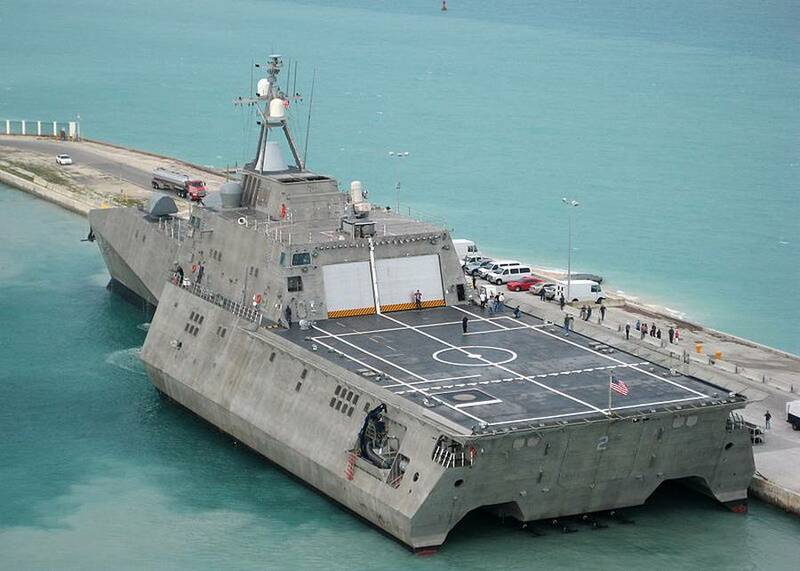 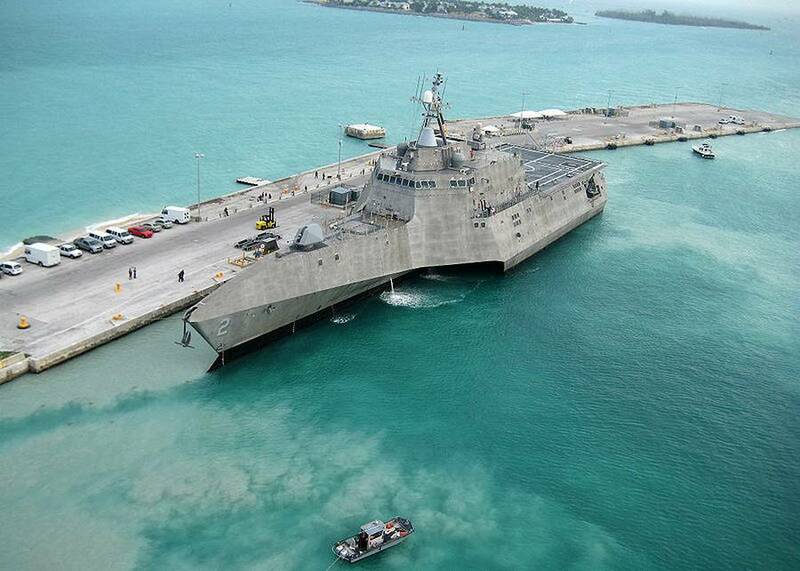 USS Independence (LCS-2) is the lead ship for the Independence variant and will be the sixth ship of the United States Navy to be named for the concept of independence. 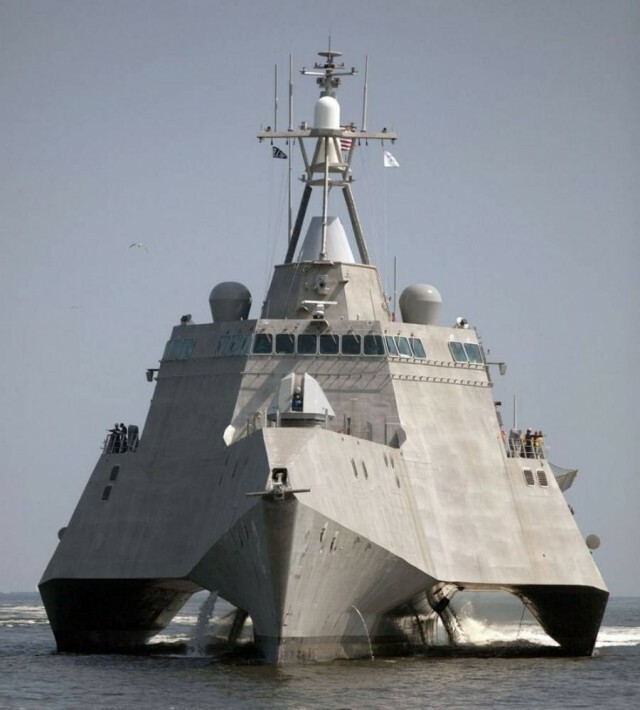 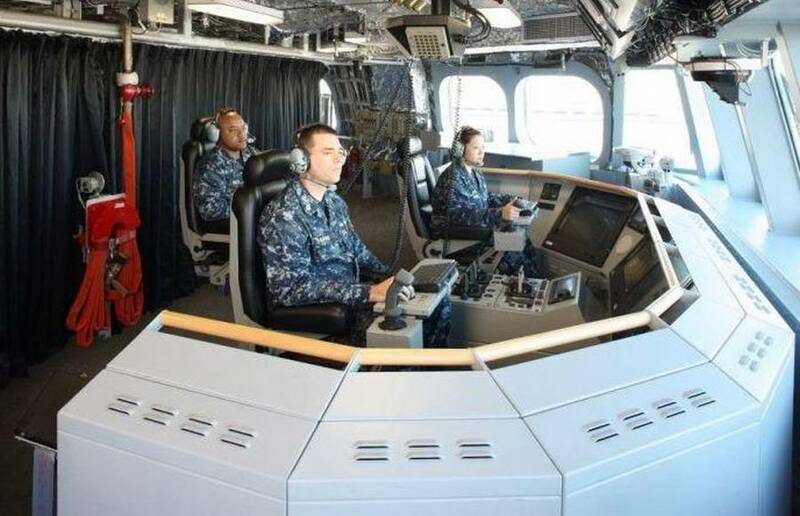 The design of the high-speed trimaran was produced by the General Dynamics consortium for the Navy’s LCS program, and competes with the Lockheed Martin-designed Freedom variant. 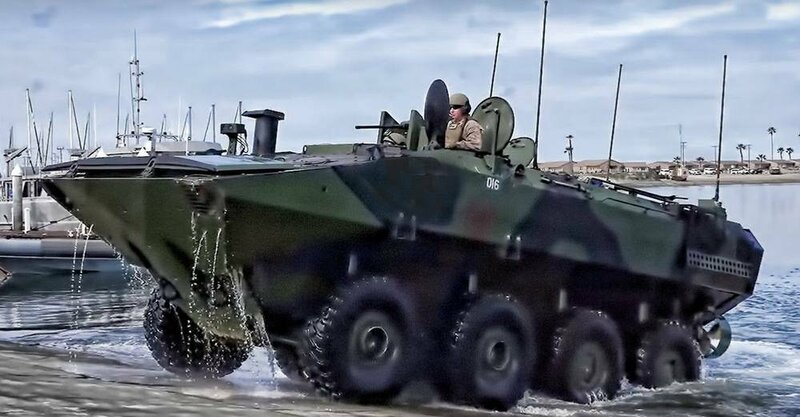 Independence is intended as a small assault transport that can take on various capabilities with the installation of mission modules. 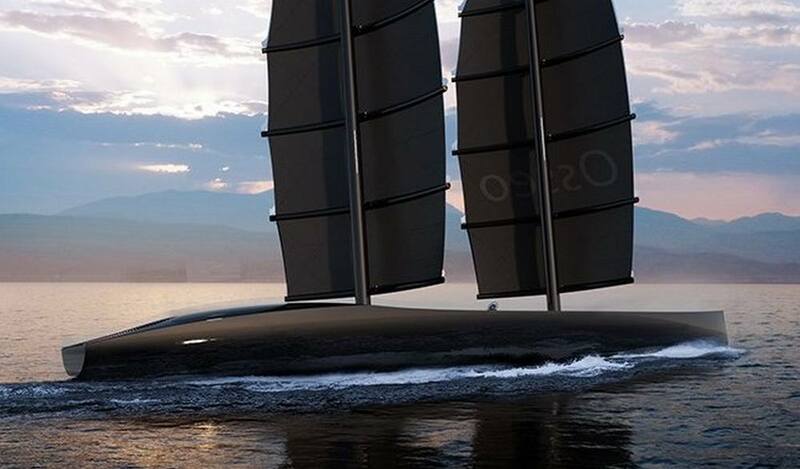 The ship is a trimaran design that can make more than 40 knots (74 km/h; 46 mph), and was delivered to the Navy at the end of 2009. 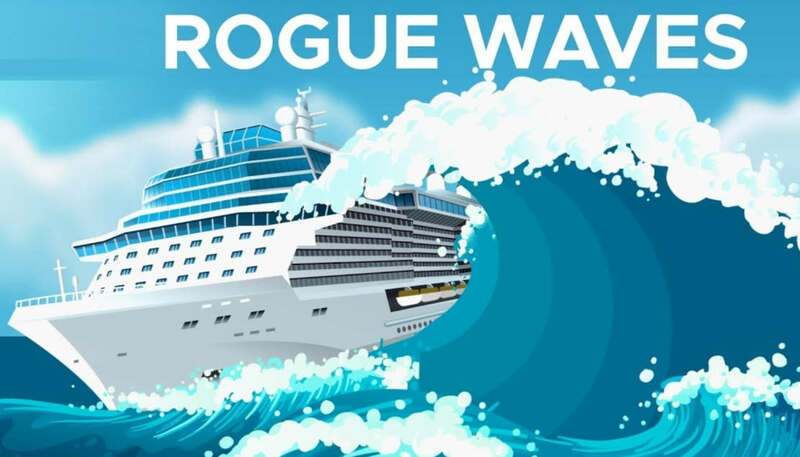 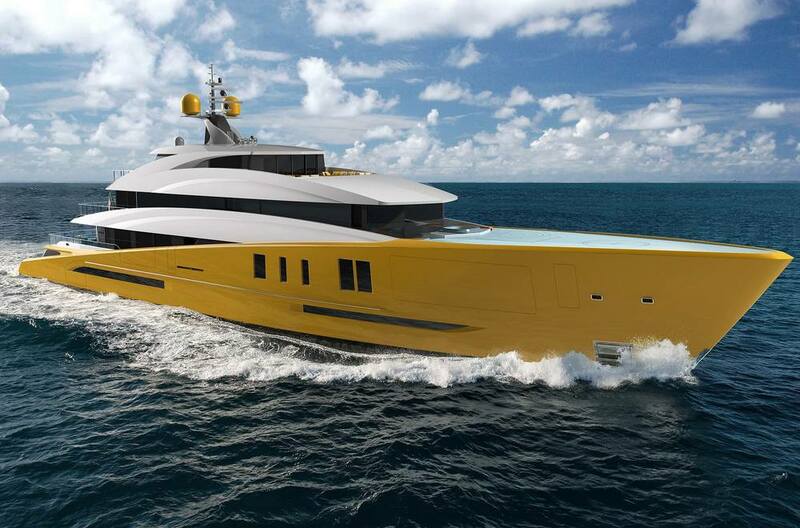 The hull design evolved from a project at Austal to design a 40 knot cruise ship. 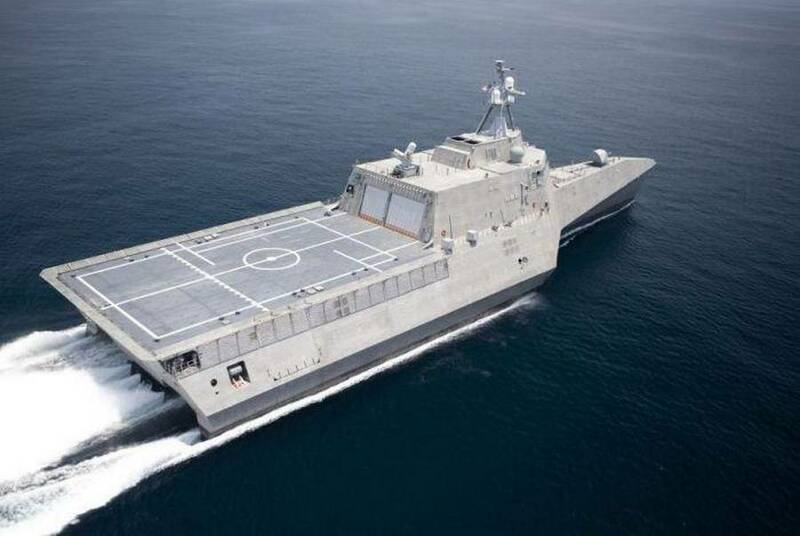 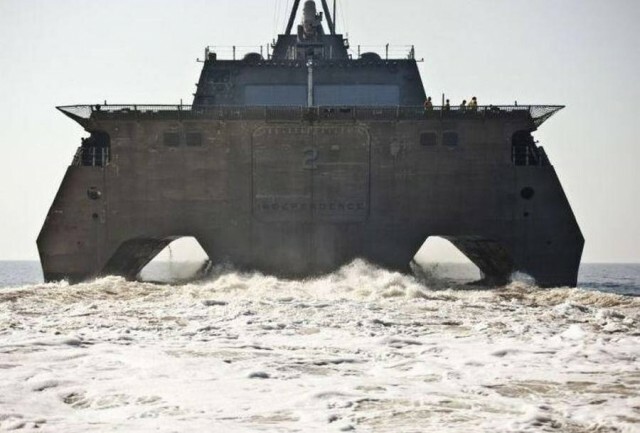 That hull design evolved into the trimaran ferry Benchijigua Express and the Independence class was then proposed by General Dynamics and Austal as a contender for USN plans to build a fleet of small, multipurpose warships to operate in the littoral zone.